A resounding thank you to all who participated in the two #Vote4DM Tweet-Ins in October! We made an impact of over 16.9 million impressions, which has helped to raise awareness of the three bills currently in play up on Capitol Hill – and while we can’t take all the credit for getting additional cosponsors for these bills, we wanted to give you an update… and it’s a good one! The National Diabetes Clinical Care Commission Act will coordinate diabetes efforts. The Commission will include federal agency representatives, patients and health care providers, and will use existing funds at no extra cost to taxpayers to do its work. Before the #Vote4DM Tweet-Ins, there were 165 House cosponsors and 21 Senate cosponsors. Since then, 14 additional cosponsors have signed on in the House version and 3 in the Senate! This bill will increase access to diabetes self-management training (DSMT) by designating credentialed diabetes educators as certified providers for purposes of outpatient DSMT services under Medicare Part B. It’s “budget neutral“, meaning that the cost of the outpatient services will be offset by the savings provided with the program. Before the #Vote4DM Tweet-Ins, there were 16 House cosponsors and 12 Senate cosponsors. Medicare does not currently cover CGM devices, leaving people over 65 with type 1 diabetes (T1D) without coverage for continuous glucose monitors. Did you know that right now, costs for a hypoglycemia inpatient admission average $17,564 per visit!? This bill will help save money – and lives. Passage of the bill will facilitate Medicare coverage of CGMs, and help pave the way for the next generation of CGM-related technologies, such as artificial pancreas (AP) systems. Before the #Vote4DM Tweet-Ins, there were only 2 House cosponsors and 9 Senate cosponsors. Since then, 33 additional House cosponsors have signed on and 5 in the Senate! Every voice matters. 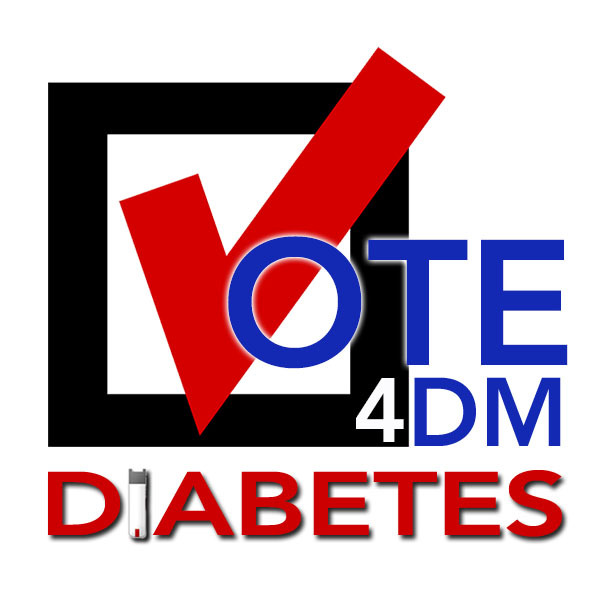 We’ve just started showing Congress that these bills are important to those with diabetes and we’ll continue to do so until these bills are passed. Stay tuned for the next wave, which will include new ways to raise awareness of these bills and new avenues to contact your representatives. I’ve been a Type 1 diabetic since I was 13 monhts old (I’m 22 now) and I would really love to see aomething like this mock pancreas come out! It would mean so much to people like me to be able to finally be, in a sense, normal! I’m excited to see if this does come out and if it does, you can sign me up!! !